Rich in flora and fauna, rain forests are nevertheless ecologically fragile. Their loss due to human depredation could result in environmental degradation and climatic change on a scale never experienced before. Rain forests are found in both tropical and temperate regious, but the best-known and most extensive are located in a belt around the equator. The forests are also fond extensively in the equatorial African countries. In Asia, the rain forests are concentrated in south-east Asian countries. The Sunderban mangrove forests are located here. Rain forests are also found in the Pacific island of Asia and Australia. Two categories There are two broad categories of rain forests-lowland and montane. Lowland forests are by far the most extensive, but they are also easily accessible and so have suffered the most ecology damage. The overhead canopy, which is closed in rain forests, can reach more than 45 metres. Trees known as emergents often grow to a height of 65 metres to pierce this canopy. Mangrove forests, a sub-type of lowland forests, are found in silt-rich, saline coastal waters. The most extensive mangroves in the Ganges delta. Another types of flooded forest is found along the banks of rain forest rivers, where large areas of lowland forests are inundated with fresh water. 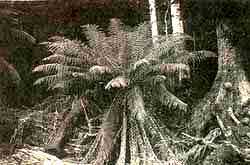 The igapo and varzea forests of the Amazon basin are of this type. Monane forests, on the other hand, consist of much shorter trees. Their growth is restricted a combination of low temperature, unpredictable rainfall and lack of nutrients at higher altudes. These stunted forests play a key role in pritecting the environment by preventing soil erosion in the highlands and flash- floods in the lowlands. Ecologically important Rain forests may appear robust and impenetrable, but in reality they are ecologically fragule. The soil in most rain forests is generally infertile, poor in nutrients and susceptible to erosion. Hence, if the tree cover is lost, what little fertulity there is in the rain forest soil would be lost. Rain in tropical regions is not the gentle drizzle of temperate climes; instead, it falls in short, sharp downpours that leach out soil nutrients and quickly erode the exposed topical. Rain forests cushion the impact of these sudden tropical only is the soilprotected, but the water flow is also regulated Rain forests play a crucial role in global heat transfer patterns and hydrological cycles and the forests reserves of organic carbon. If rain forests are burnt and destroyed, the real effect on the world's climate can only be guessed. Rain forests contain more than 50 per cent of all known species of flora and fauna, though they cover less than 6 per cent of the earth's land area. To protect the rain forests is to preserve this biological diversity because the genetic resources of the rain forests are the common heritage of humankind. Already, scientists are developing many important medicines and drugs from plant species unique to rain forests. But now, just when the lid of nature's medicine chest is being opened, we face the danger of having it slammed shut. Causes of destruction The main causes of destruction of rain forests are commercial logging for timber, shifting cultivation, cattle ranching to provide beef for the rich ranching and increasing industrialisation. Though commercial logging is often seen as the major causes of deforestation, it tends to be based on a selective system where only a small percentage of tree is cut and removed. However, it results in mirant settlers moving into the forest through roads built by the loggers, setting upcamp and illegally clearing off the forest. During the last 30 years, the spread of beef cattle ranching has posed a serious threat to Latin American rain forests. Clearfeeling of vast forest areas has been given special tax advantages by governments in central America and Brazil and has received generous grants from the World Bank, so that beef can be produced for export to fast food markets in north America and western Europe. Between 1960 and 1980, a quarter of the rain forests in these countries was cleared and this process is being accelerated. For many tropical nations, rain forests are not just a source of timber and land. They may conceal considerable mineral wealth beneath the trees, and their rivers can be dammed to provide hydroelectric power. 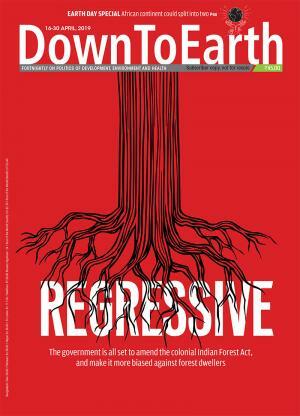 Mining is a direct threat-but a relatively minor one -to rain forest because deforestation results mainly from the need for access roads and an increasing level of development in the region of the mines. The Amazon basin, but protests by the indgenous Kayap6 Indians have forced the world bank to withdraw all funding for the dams. Apart from loss of forests and displacement of indigenous peoples, dams can cause major ecological problems, such as silting. Another concern is that when nutrients accumulate in a reservoir, they promote the growth of algae, which upsets the ecological balance in a way that is fatal to fish. The static waters of a reservoir also become an excellent breeding ground for snails, mosquitoes and other insects, resulting in increased incidence of malaria and schistosomiasis (bilharziasis). If rain forests are destroyed, all humanity will suffer environmental degradation to a degree never before experienced. New initiatives, in terms of financial and technological inputs from the rich and industrialised nations, and cooperation from the poor ones, are needed to protect this invaluable global resources. Upgrading planned use of rain forests in the political agenda of tropical countries is one desired objective. However, it should not be done on a piece-meal basis. Such plans must ensure a cross-sectoral approach, integrating forestry with industry, agriculture, energy, immigration and other development activities. Another objective could be an international agreement to set aside at least 15 per cent of each country's original rain forest cover as fully protected areas. This would ensure continuity of all forest ecosystems. With proper planning and management of the protected areas, it would also help to protect the rain forest's diverse species. But countries with tropical rain forests have often argued that as these areas will be set aside in the interests of all humanity, the costs of their maintenance should be paid by all countries, and, in particular, by the rich ones. Northern countries have, however, refused to accept such a financial burden. A third objective would be the maintenance of a further 30-40 per cent of the larger countries' forests as a permanent, physically and legally secure forest estate. This would ensure a continuing supply of timber for national development and of forest products for local development, secure water supplies to cities. and for agriculture, and safeguard the traditional lifestyles of the forest people. Rain forest lands that are already degraded could be used for raising plantations. Apart from the resulting harvest, the plantations could produce much of the world's utility-grade timber and wood for pulp, while restoring the degraded lands. The plantations would also sreve as useful buffers around protected areas. Rain forests can be saved and preserved fir future generation, but only if action is taken now. People everywhere must realise that the earth can provide, but the laws of nature are strict and the penalty for breaking them, inexorable and catastrophic.